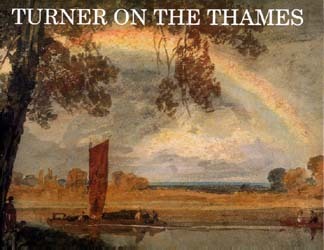 I have been working on Turner since the early 1970s concentrating mainly on subjects in the north of England, on the river Thames and in the Alps. North of England subjects led me to Cotman and Alpine subjects led me to Ruskin. I have also taken an interest in Turner’s contemporary Thomas Girtin, and in John Constable and explored subjects in Scotland, France, Germany (especially the Mosel and Rhine) and Italy (especially Venice and the Northern Lakes). Something from any and perhaps all of these areas will, I hope, find a place in this site. A list of my more substantial publications follows. All but one or two are long sold out, but may still be found on the lists of resellers. Try Amazon or abebooks.com. If you want a new copy do please badger the publishers. If enough of you enquire, they might well reprint! 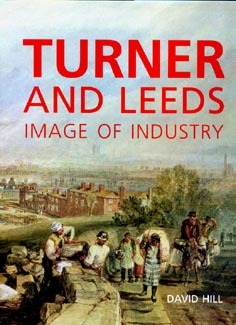 Currently I am thinking about a book that will focus on Turner’s exploration of a variety of different locations. I hope to include something from most areas of his activity: London, the south and north of England, the midlands, Scotland and Wales, plus a selection of European subjects, France (Alps, Paris, Seine, Loire, north, central and south), Germany (Mosel and Rhine, and more) Holland, Belgium, Luxembourg, and his favourite Italy – The northern Lakes, Milan, Florence, Rome, Naples and Venice. I will probably call it ‘Sublime Sites’ to align it with this site. 2016 is the 200th anniversary of Turner’s tour of the north of England in 1816. That was the subject of my first book, In Turner’s Footsteps. In fact I covered only half of the material that Turner generated, and there is a lot more of great interest and beauty in the subject. Hopefully the anniversary will bring the opportunity for a new publication. On Cotman I’m developing a project on his Norfolk subjects, and am working on the idea of a major exhibition of his little studied later watercolours. I have also accumulated material on Ruskin’s Alpine work, and will hope to write a book of some kind. So much material.. so little time.. Hence the blog. At least I can get some of this out there as I go along. This was edited by Richard Green, then curator at York City Art Gallery, and written mostly by myself drawing on research for my PhD at the Courtauld Institute, and on material supplied by my co-conspirator, the late and much-missed Stanley Warburton. The Rhine drawings were written up by the American scholar Mary Tussey, who for a few years in my student days was an early companion on Turner expeditions. The exhibition was a huge success; there were queues all around Exhibition Square and record attendances at the gallery. Exploring Turner’s major tour of the north of England in 1816. I had already spent a few years working out the exact subjects of Turner’s sketches, but in 1983 retraced the tour on the exact dates that Turner made his tour. So I set out from Otley in Wharfedale, not far from Leeds, on 17 July and returned there on 11 August. 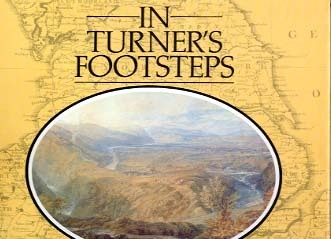 Turner made the tour on horseback, and stayed in coaching inns along the way. Horseback was out of the question, and inns beyond my budget, so I drove the route in a white Renault 5 and slept in a green Trigano tent. The weather was extraordinary. I swam every day at the waterfalls of Wensleydale. 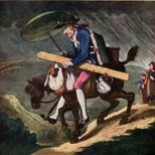 Nothing could have been further from Turner’s experience, which was to be soaked, bogged and benighted during the wettest summer on meteorological record. 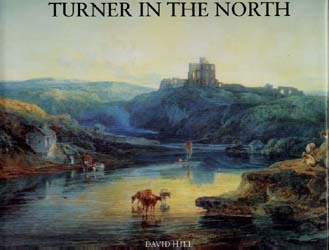 The work that he produced in response – one of the culminating points of his career according to John Ruskin – is however, perfect testimony to Turner’s relish for all the sensations of being in the world. The book reached no.1 in the Sunday Times bestsellers list, and won the Yorkshire Post Art Book of the Year award. 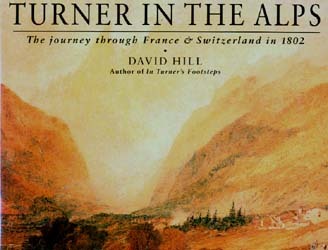 This book retraced Turner’s tour of the Alps in 1802. There were several trips involved. The conveyance on this occasion was in a rather fine white Austin Montego, but the accommodation was still the little green tent. One trip involved lying in the tent for three days whilst it bucketed down in Lauterbrunnen. Another was made in the company of my son John, fourteen in 1991. He had a great time with an ice-axe we bought in Grindelwald, and managed to lock the keys in the car at Chamonix. Fortunately the boot was open, so with the aid of ice-axe and by inverting the boy and shoving him through a gap in the back seats, the day was saved. I was particularly happy with the book, and began to bring my own photography much more into play. Some of them took some getting. One day I had to make a 5 am getaway from a Lucerne campsite to photograph the Rigi. So quickly and silently out of the tent and into the car. One brief start of the engine and I could be out of the gate barely disturbing anyone’s sleep. It’s a shame that I had forgotten that I had stowed the camping chairs and table underneath the car. Still, there wasn’t much need to wipe the dew from the remains. This was a very long time (nearly twenty years) in the making. It was started with my undergraduate dissertation. Most of the research was done on foot and I must have walked the Thames and Wey towpath several times over. In its early days the project was notorious for being an endless tour of pubs that Turner ‘might’ have frequented. And how many of them there were! The main focus was Turner’s expeditions in a small sailing boat in the year 1805. So naturally this had at some stage to be undertaken afloat. So we chartered the Silver Cygnet from Abingdon, with Captain Joe Pickard at the helm, David Morris as first mate and cabin boy John Hill. It could have been worse. At least some of the crockery made it back to the boatyard. Yale lavished lots of colour on reproductions of Turner’s extraordinary sketches, and also indulged my growing interest for photographing the sites as they are today. Surprisingly, no-one has yet staged a proper exhibition of this subject. I would be delighted to be asked! Again a long time in the making. None of the sites were more than a long day trip from home. The Montego had been commandeered by disaffected youth and left in a hedgerow on the Gipton Estate, so the conveyance was now a green Citroen Xantia. Very comfortable, at least when the suspension worked. 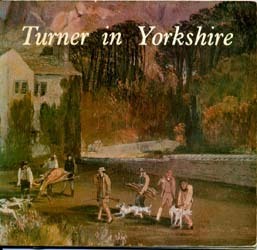 The project was to reconstruct Turner’s 1797 tour of Yorkshire, Durham, Northumberland and the Lakes. It fitted into a series of exhibitions that I curated at Harewood House, near Leeds. Turner was commissioned to visit Harewood by Edward Lascelles, the son of the first Earl and used it as a springboard to make an extensive exploration of the north. 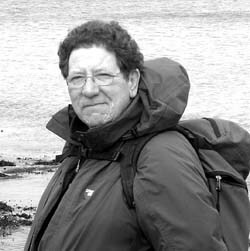 My argument was that he set out as an architectural draftsman but his exposure to northern scenery turned him into a great poet of the landscape sublime. We had to put up covered walkways to shelter the waiting queues. Thank you to everyone who put up with the very uncertain summer in 1997. I hope the wettings were worth it. At least you can say that you enjoyed a thoroughly Turnerian experience. Yale did a wonderful job with the presentation and packaging of the book and I thought the photographs worked really well with Turner’s sketches. It stayed in print a long time, and there might still be the odd unmarked copy around. In some ways the highlight of my career. Certainly the most unreserved support and finance it has ever been my pleasure to work with. The regional government of Aosta approached me in 1996 to curate for them an exhibition on Turner’s association with the area. 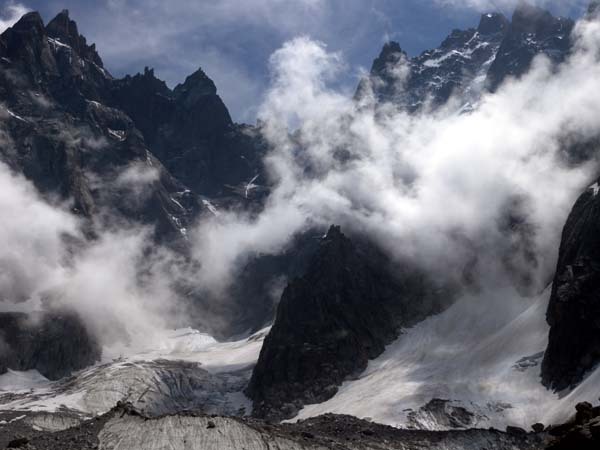 The Val d’Aosta runs south from Mont Blanc towards the plains of Turin. 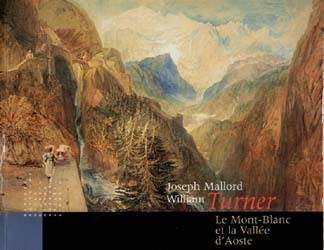 Turner made a pedestrian tour of the area when at the peak of his powers in 1836, and Aosta gave me carte blanche to borrow whatever I could, to explore the area as much as I liked, and to stage the exhibition in whatever form I thought would work best. I spent three years flying out to Turin, staying in the Hotel Europa in Aosta and haunting the old pathways and roads of the valley in Turner’s footsteps. I think the Hotel Europa confused me for ‘Britain’s greatest artist’. On the first occasion I stayed there a huge book with a carved wooden cover was produced for me to add my mark to a history of celebrities and potentates. Hoping that my hosts’ English might not detect the fraud immediately, I made sure that only the word ‘Turner’ was plainly legible. The exhibition was staged in bespoke display cases made by top-end designers from Venice, and the hospitality to lenders and curators was unstinting. Alongside the Turner exhibition was another by the contemporary sculptor Stephen Cox. We managed to synchronise our visits very well. Stephen was impressively well versed in the wines of the valley (the vineyards of Enfer d’Arvier were sketched by Turner), and we spent many a happy hour in the Val d’Aosta wine cellar, and Cesare’s trattoria. In between times I accumulated a huge number of photographs, and the specification for the catalogue was as enthusiatic as everything else. Rather alarmingly, we finalised the design and the printing in the two weeks before the exhibition opened, and I watched it come off the presses in Aosta three days before the official opening. There wasn’t as much time as we would have liked for correcting and proofing, but the volume is a visual feast. The catalogues sold out within days, and are now rare and very expensive. I’m sure another publisher could bring this back into print. Contact me! Years under consideration, if not actually in the making. When I was a student it always seemed as if Cotman’s Yorkshire subjects would be one of the plum subjects in the History of British Art. There were several Cotman specialists and I looked forward to one of them bringing out a proper treatment of the work, always widely regarded as his defining watercolours. After the early1980s, though, Cotman himself seemed to fall out of scholarly favour. The years went by with few detailed study of any aspects of Cotman’s work, so with the bicentenary of his great year in Yorkshire, 1805, coming around, Harewood joined forces with the Bowes Museum to put on a comprehensive exhibition. Yale once again made a beautiful book out of the subject, and the works looked stunning in the two venues. At Harewood some of the works were installed in the very house in which they were conceived. 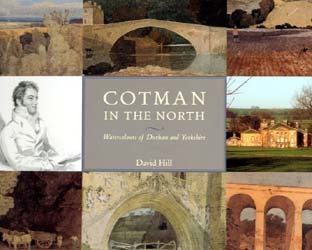 The exhibitions were very popular, considering that Cotman seemed largely to have slipped off the wider public’s radar. My feeling is that in his own time Cotman had such a refined aesthetic as to be invisible to the most. He doesn’t speak loudly or demonstratively. The northern press and public took to him very enthusiastically but he was completely lost on the London nationals Stand up the New York Review of Books. They ran a two-page spread fully appreciating Cotman’s value. it was wonderful and a pleasure being taught by you at Bretton hall you are a scholar and a half and we are all in benefit for your interests.but why don’t you paint yourself?you’ve observed the best in the history of the world.why observe and follow when you could create?or are you just crap at painting?i love music but couldnt carry a note in bucket! hope youre keeping well dave,you look it!take care! Blimey, I was rather blithely thinking that I was talking in a darkened room. Great to know that there is someone out there and that I’ve found at least one old Brettonian. Great times, great place, great to work with all those artists. Why did I never paint? Well I did once, but quickly realised how hard it would be to ever do anything of any value. I was always amazed at how good were the students I worked with. I’m looking forward hugely to visiting Norham Castle again. Such an important site for Turner.